Great for beginners and advanced players alike. These sticks can take a beating while keeping your hands from getting tired by doing the gripping for you. Fantastic balance, feel, and sound. Cool looks, too. 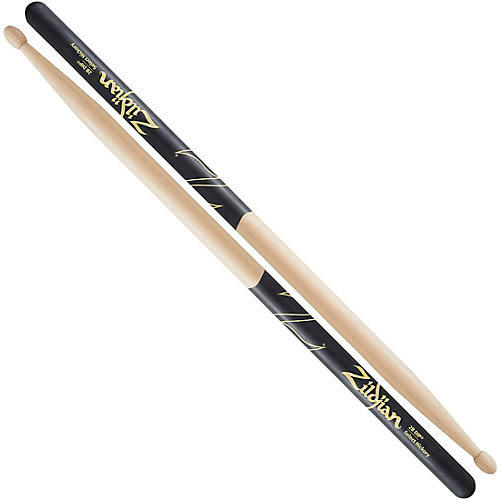 The innovative black DIP coating, developed through extensive research and development with top percussionist Marc Quinones, provides a great grip on the drumstick and a unique stick sound. Every stick is hand-inspected after final shaping and paired according to weight. Every drummer needs a pair or 3! Try some today and discover the difference a soft grip makes in your endurance!